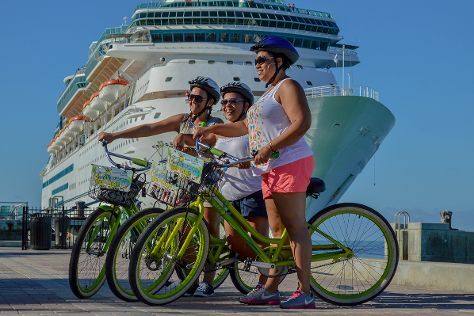 Kick off your visit on the 27th (Wed): see the interesting displays at The Ernest Hemingway Home and Museum, take a spin around town with Key Lime Bike Tours, and then steep yourself in history at Curry Mansion. Get ready for a full day of sightseeing on the 28th (Thu): explore the different monuments and memorials at Key West Cemetery, take in the architecture and atmosphere at Saint Mary Star of the Sea, then visit a coastal fixture at Key West Lighthouse and Keeper's Quarters Museum, then contemplate the long history of Truman Little White House, and finally immerse yourself in nature at Fort Zachary Taylor. Take the guesswork out of planning a Key West vacation by using our trip itinerary maker. In February in Key West, expect temperatures between 78°F during the day and 68°F at night. Finish up your sightseeing early on the 28th (Thu) so you can travel back home.